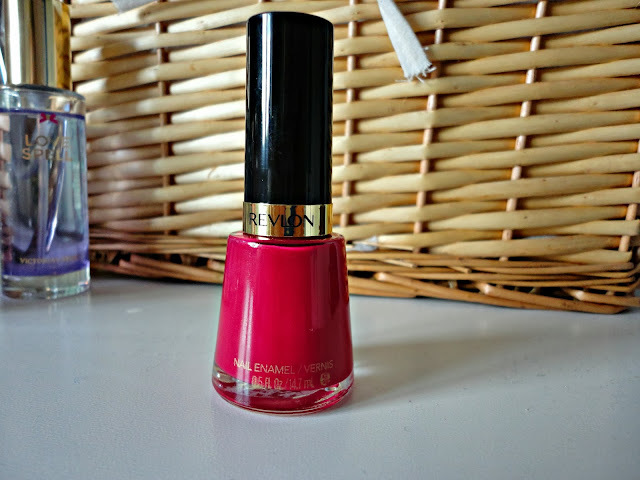 But I did want to post about this beautiful red nail polish from Revlon, with possibly the cutest name ever - Cherries In The Snow! I don't really own many red nail polishes as I much prefer pinks and purples but this one caught my eye. I already have the Cherries In The Snow lipstick from Revlon which is absolutely beautiful and I thought this would go hand in hand. 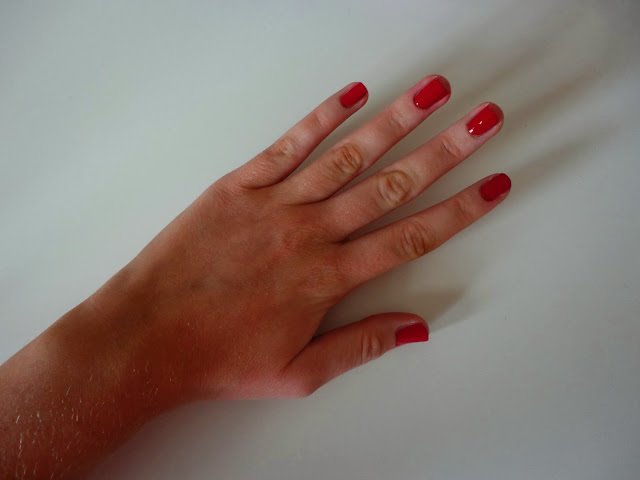 The colour is a gorgeous pink toned red and as you can see, it's super shiny on the nails. It does take 2/3 coats to be opaque though and the lasting power really isn't great, but it's just too much of a pretty colour for that to put me off too much! What do you think? This is a lovely colour :) Love the name!